Below, Jaffe discusses four authors who have influenced both her writing in general and Dryland in particular. James Baldwin, Giovanni’s Room. When I was living in San Francisco, I had a sudden desire to re-read Giovanni’s Room and discovered I no longer had a copy. I ran out to the used bookstore and bought one. Upon arriving home and opening the book, I discovered an inscription: from S., my first real girlfriend, with whom I’d had a very prolonged and dramatic breakup, to the girl she dated after me. It was too perfect. Giovanni’s Room is a novel of love and doom in equal measure. And though the ultimate doom of Giovanni’s death may bookend the novel, the few scenes in the middle that describe the night David and Giovanni meet and first start to fall for each other are like gay love candy—so vivid, heady, and sweet. Part of the reason it works so well is that, though the story is told through David’s first-person point-of-view, he’s in such deep denial about his attraction to Giovanni that it takes the older queens calling him out for us to fully get the sense of what’s going on. We get both the subjective thrill of David’s unnamed excitement and the vicarious thrill of Jacques and the others watching and naming it. It’s such a deft and interesting use of the first person, because it doesn’t put the onus on the reader to identify with David; rather, it allows us to observe him. 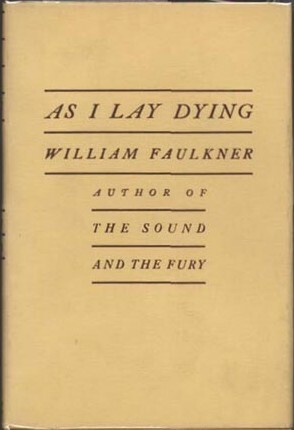 William Faulkner, As I Lay Dying. “I feel like a wet seed wild in the hot blind earth.” I still have my copy of As I Lay Dying from college, with that sentence, at the end of one of Dewey Dell’s sections, underlined. I think it was one of the first times I underlined a sentence in a novel not for what it had to do, in whatever convoluted and out-of-context manner, with me, but because I was so moved by the language itself. Every syllable pulses, and the image is indelible. As I Lay Dying did something to my ear, forever changed it. The novel marks when I began to seek tension-action-drama in the relationship of words to each other in a sentence, rather than (solely) at the level of narrative. Jane Bowles, My Sister’s Hand in Mine: The Collected Works of Jane Bowles. I find it very difficult to describe the particular strangeness of a Jane Bowles story. Each character is so tightly contained in his or her own universe, utterly incapable of—or uninterested in—understanding why any other person says or does anything. A friend once described Bowles’s characters as having no interiority, but I don’t think that’s exactly it—it’s as if their interiors are turned outward, as if they lead with interiority, their speech and actions hindered by neither societal conventions, self-consciousness, nor self-awareness. In such a landscape, there’s no such thing as contradiction. And causality itself becomes completely upended, doing miraculous things to plot. What “happens” is dictated only by each character’s peculiar, particular logic. Bowles’s writing is soaked in an anxiety I recognize. I don’t know if or how Jane Bowles actually shows up in my writing. I don’t discard psychological realism. But, in writing Dryland, when I was up against a passage that I had trouble wresting from cliche, I opened up a document called “Mrs. Copperfield” and tried to write it in a Bowlesian style. It helped me locate productive disconnections between characters, and to make characters’ actions and emotions unfamiliar to themselves. Lynne Tillman, Haunted Houses. In the conventional bildungsroman, the protagonist is set on a path of self-discovery, and once he or she discovers what needs to be discovered, he or she changes, or comes right up to the cusp of change. But in Haunted Houses, Tillman’s first novel, the three protagonists—Grace, Emily, and Jane, who exist in parallel chapters but never meet—do not change, not really. Or, maybe more accurately, Tillman doesn’t foreground a narrative of change, or development, in any conventional sense. Her characters accrue experiences, they move through their lives, they think and act but when you remove the imperative of change each thought and action achieves a kind of parity with each other. In the resulting flatness, we feel the grain of lived experience—what it is to be a person in a body in the world. 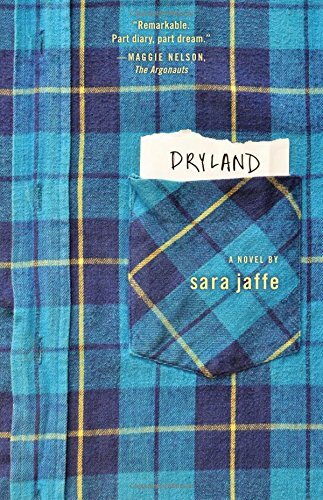 Sara Jaffe’s fiction has appeared in such publications as Fence and BOMB and she co-edited The Art of Touring (Yeti, 2009), an anthology of writing and visual art by musicians based on her experience as guitarist (1999–2004) for the post-punk band Erase Errata. Jaffe currently lives and teaches in Portland.